It’s fascinating to watch smart tech people serially misunderstand Apple’s approach to innovation. Problem is, the dumb things often turn out to be what the industry is copying five and ten years later. Yet somehow everyone’s products either look 99% like what Apple created or they’re trying really hard to get there. 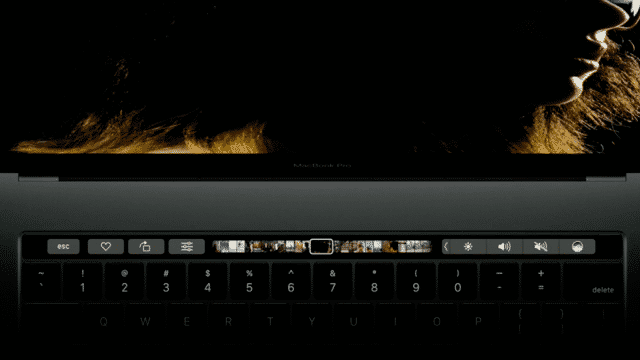 Today Apple announced the Touch Bar. There’s a very simple way to describe it. The thing about innovation is that it’s simultaneously brilliant and obvious. Replace 45-year-old buttons that few people use with a contextual interface? Well, obviously. And everyone will soon be doing this. Just like the Galaxy line looks nearly identical to iPhones, and nearly every laptop looks like a MacBook. But if you listen to these naysayers, it’s either the dumbest thing ever or it’s not innovation. They are missing that what appears like the dumbest thing ever to them is often what innovation actually looks like. If you don’t get change, if you don’t understand innovation, if you want your tech to be frozen from whenever you think it was best, that’s fine. But stop complaining about how a high-speed industry is in motion. That’s what things in motion do—they move.